Obesity has the potential to raise an older adult’s risk for having difficulty thinking and making decisions (also known as “cognitive decline” or dementia). It is a complex health concern. Body mass index (BMI) is a scale that measures a person’s weight in relationship to their height. Research shows that older adults who have an elevated BMI are at lower risk for dementia than people with lower BMIs. However, BMI may not be the best measure for obesity’s effect on dementia. For example, signs such as carrying excess weight in the abdomen (also known as “belly fat”), and having a larger waist size, may better indicate whether a person is at higher risk for problems such as dementia. Despite the fact that more African Americans are affected by obesity and dementia than other individuals, few studies have examined the link between obesity and dementia among African Americans. Recently, a team of researchers examined this link, and published their findings in the Journal of the American Geriatrics Society. Staying up-to-date on the latest geriatrics research isn’t just for healthcare professionals. 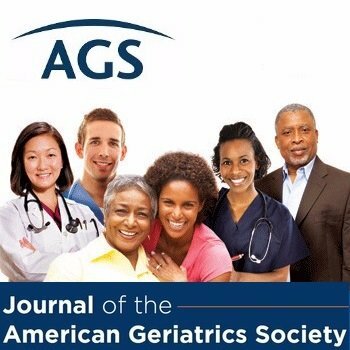 That’s why HealthinAging.org is expanding its partnership with the Journal of the American Geriatrics Society (JAGS) to give you access to the cutting-edge insights that your healthcare providers use to guide your clinical care. The HealthinAging blog will now feature regular updates from JAGS—including future postings of our monthly research summaries—so be sure to subscribe to updates today! For older adults with complex care needs, police officers are often the first people on the scene for a health issue or concern. Police officers often respond to calls for older adults with cognitive impairments (health problems that affect our ability to think and make decisions), or to concerns about abuse, neglect, or the general well-being of older adults who live alone and benefit from “well-being” assessments. However, when police don’t have essential information about how our health changes as we age, they may risk causing unintended harm. For example, a police officer might not know the best way to assist an older adult with dementia who is behaving disruptively or even violently. A new study published in the Journal of the American Geriatrics Society reports that most police officers receive little to no training in aging-related health concerns, and that promising approaches to such training can improve how officers can help older adults in their communities when they’re called to offer assistance.